We use credit card points and miles to pay for all of our travel expenses. In the past, we always used points to book economy flights. We thought it was the best use of our miles. We were totally wrong. Keep reading to find out why we should have been booking first class seats with those points. Let’s use American Airlines flights to Europe as an example. Keep in mind that ticket prices fluctuate all the time. We're also focusing on a major airline and not budget airlines like WOW and Spirit for this comparison. You can usually find great cash prices by hunting deals or booking on specific dates, but this pricing example shows why using points can be so valuable. At the time of writing this article, an economy flight on AA from New York to Paris, on September 18th, costs 709 dollars. The same trip in business class is over 5 times the price at 4103 dollars. If you fly out of a smaller regional airport as we do, the prices only get higher. On the same day, a flight from MLU to Paris in an economy seat will run you 1565$ and cost seven times that for business class, at 11,459 dollars! That's a lot of money. If you were to use AA miles for the tickets, how many miles would you need? One great thing about AA miles is that the cost is based on zones. So you can fly from anywhere in the 48 contiguous states to anywhere in Europe, for the same price. 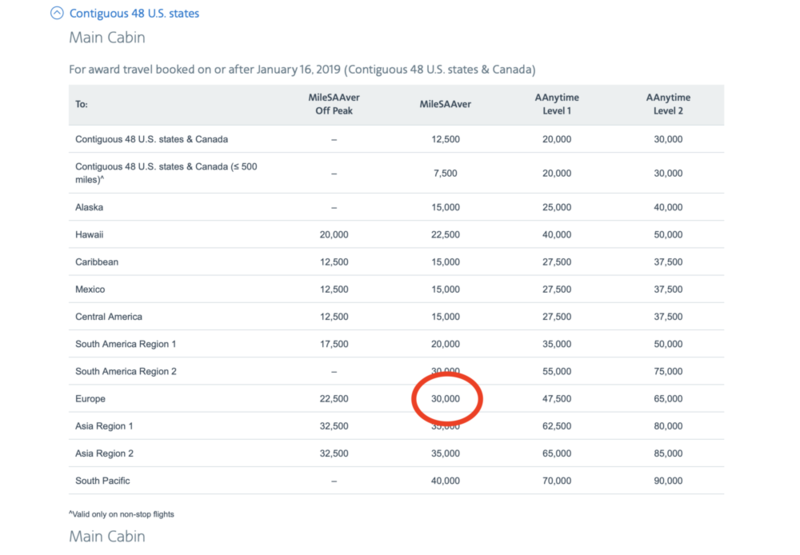 From the states, an economy milessaver ticket costs 60,000 miles roundtrip. In business class, milessaver is 115,000 miles. For less than double the points, you'd be getting a ticket that costs several times more than a cash economy ticket. If you want to get into the math, using our MLU example, your points would be worth almost 10 cents each for business class. That's an insane redemption. Not only do you get a better quality of product but it's actually a way better value for your points. One-way in economy to Europe costs 30,000 miles. One-way in business to Europe only costs 27,500 more miles. Most people never even consider flying in business class. With points and miles, not only is it attainable for everyone, but it's also the better value. To do it though you still need to build up some miles. Read this article to see how you can get those miles completely free. What do you think about our opinion? Would you rather fly business class? Does our math make sense? Answer below in the comments. Soon you’ll be feeling like a Gatsby in business class.